University of Florida running back Jeff Demps is putting aside his dreams to play professional football to focus on getting prepared to run track in the 2012 Olympics. 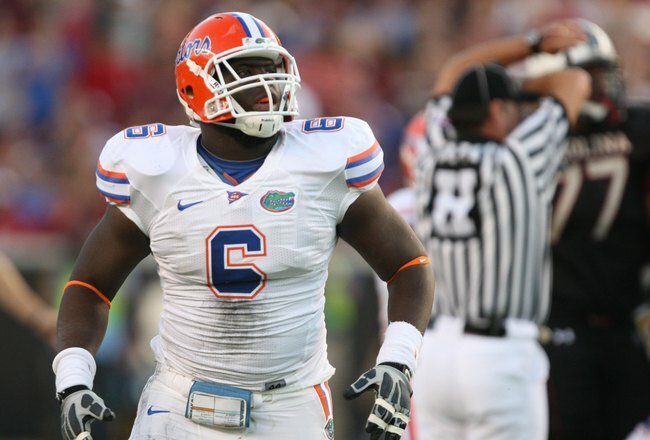 Don’t expect the same for the 6’3 302lb Florida defensive tackle Jaye Howard. Howard, who was recently named Honorable Mention All-SEC by the Associated Press, has signed with Drew Rosenhaus of Rosenhaus Sports Representation. 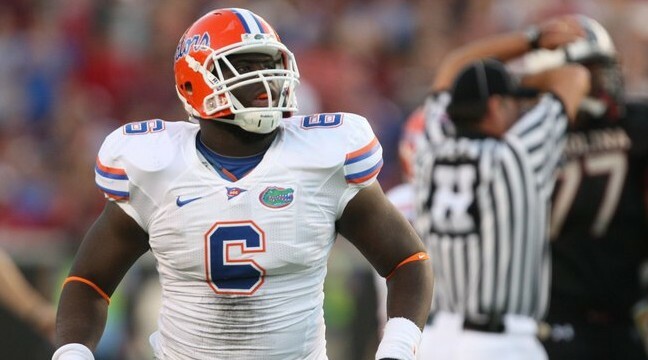 Rosenhaus was reportedly in Gainesville, Florida last week and sealed the deal with Howard at that time. NFLDraftScout.com currently ranks Howard as the 21st best defensive tackle available in the 2012 NFL Draft and the 213th best player overall. He has already accepted his invitation to the Senior Bowl. A big question will be whether Howard will put forth enough effort to excel at the next level. His big knock in college was that he did not seem to always give it everything he had on the field.